A suddenly buoyant West Ham take-on the under pressure and misfiring Manchester also-rans at the London Stadium in what could well be Mourinho’s farewell visit. It is no doubt a reflection of the “hope for the best, fear the worst” mentality that goes with supporting West Ham that I can’t quite make up my mind whether today is a good or a bad time to be playing Manchester United. A lacklustre start to their Premier League campaign had already created rumblings of discontent at Old Trafford and these became amplified by the midweek League Cup defeat by Championship side Derby County. So the question is, will the ever moaning Mourinho get a storming response out of his players at the London Stadium or will they continue to struggle in shaking off the shackles of their manager’s nineteenth century safety first tactics? It would be no surprise if Manchester United were among the first to change managers in the Premier League this season as his style, or lack of it, falls far too short of the expectations at famous (and one-time successful) club. However, my money for first managerial casualty would be either on Claude Puel at Leicester or Colin Wanker at Cardiff. The transition from the Alex Ferguson era at Manchester United is looking just as painful as that which followed the retirement of Matt Busby; and if history repeats itself then the Red Devils can expect to win their next title by 2039. It would be foolish to read too much into League Cup results these days as no-one really starts taking it seriously until reaching the quarter finals stage. Still you can only beat what is in front of you and a stroll against League 2 basement club, Macclesfield Town, can’t have harmed the confidence in the Hammer’s camp, following on from the win at Everton and draw with Chelsea. A fourth round tie against Blackpool or Burton Albion would do very nicely. Today will see Manchester United’s third visit to the London Stadium where they have yet to concede a goal – last year’s drab scoreless draw being preceded a 2-0 Manchester victory thanks largely to Mike Dean’s dreadful decision in sending off Sofiane Feghouli. 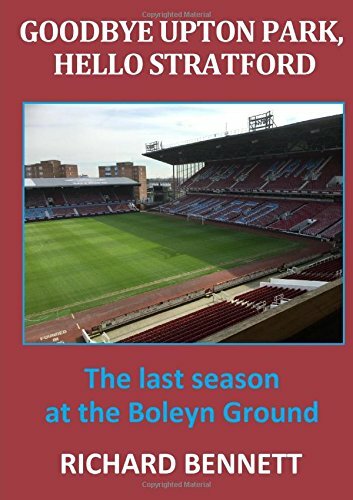 The Hammers recent record against the visitors is not so good and, apart from the famous last game at the Boleyn victory, there have been no other successes in the last nineteen league meetings. As usual the biggest obstacke in the way of improving that record will be Lukaku, who has netted eleven times in his last eleven matches against West Ham – he has also scored in each of the visitors three away league games so far this season. We are promised the return of Marko Arnautovic from injury today and his inclusion at the expense of Michail Antonio could well be the only change from the team which started last weekend against Chelsea. It is possible that Manuel Pellegrini will make tactical changes in the full-back positions but it would surprise me. With Carlos Sanchez now absent through injury there are limited options left to replace Mark Noble when his legs run out around the 75 minute mark. It was good to see several youngsters get a game in midweek and it is about time the Academy started to deliver after a lengthy barren spell stretching back almost a decade. Clearly performances must be viewed in the light of the opposition faced and it is a huge leap in class from Macclesfield to Manchester. However, I think there should always be room for at least one young player with potential to be on the bench as a way of introducing them to the atmosphere and expectations of league football. It was Grady Diangana who received all the plaudits following his two goal debut in the League Cup but he will surely be behind Antonio and Robert Snodgrass in the attacking bench pecking order. So, arguably it could be Conor Coventry who is more likely to get a look in as the fresh legs cover for the Hammer’s skipper. The referee for today’s game is Michael Oliver from Northumberland who took care of two West Ham defeats (home to Spurs and away at Everton) last season plus the home draw with Stoke. In five Premier League matches this season he already has two red cards to his name. BBC pundit Lawro predicts a 2-0 away win confident that Mourinho will get a reaction from his chaotic charges while Merson at Sky is sticking with a 1-1 draw. It will be interesting to see how the game pans tactically and whether Pellegrini expects his team to sit back, as they did against Chelsea, or show more attacking intent. A more enterprising West Ham may be just what the visitors are looking for and there is the potential for the game turning into a cagey cat and mouse affair. Notwithstanding the curse of Lukaku I am going to stick my neck out and predict a 2-0 home victory that heaps even more misery on the morose Manchester manager. Previous Previous post: Can West Ham deepen the frown on Mourinho’s face when Manchester United visit the London Stadium this weekend?